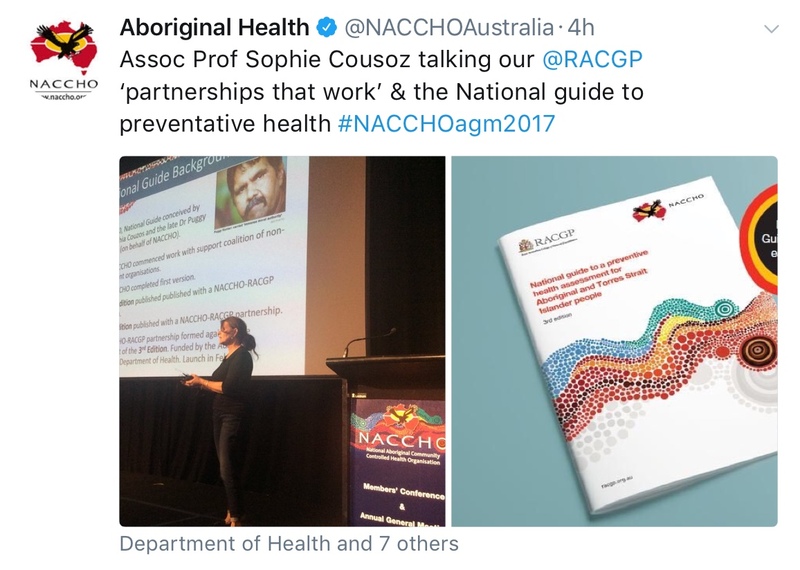 RACGP Aboriginal and Torres Strait Islander Health was on hand yesterday at the NACCHO (National Aboriginal Community Controlled Health Organisation) Annual Conference and AGM in Canberra to reinforce the partnership between the two organisations. 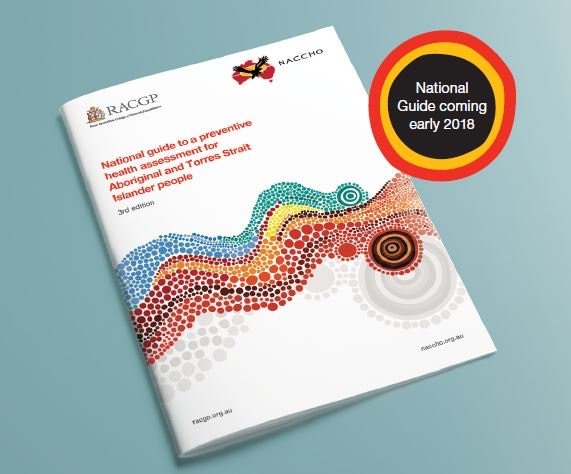 That partnership is demonstrated in the co-development of the National guide to a preventive health assessment for Aboriginal and Torres Strait Islander people (the National guide), which is currently being updated for its third edition. The guide is designed as a practical resource for all health professionals delivering primary care to Aboriginal and/or Torres Strait Islander people. Those issues include lifestyle, child and young people’s health, rheumatic heart disease, eye health, hearing loss, sexual health and blood-borne viruses, antenatal care, mental health, cardiovascular disease prevention, chronic kidney disease, type 2 diabetes, prevention and early detection of cancer, and preventive health for older people. According to Lauren Trask, NACCHO National Guide Implementation Officer, the publication remains consistent with the national policy platform around quality improvement initiatives. The updated third edition of the National guide is scheduled for release in February 2018, with RACGP and NACCHO hosting a series of workshops across the country to support its implementation.